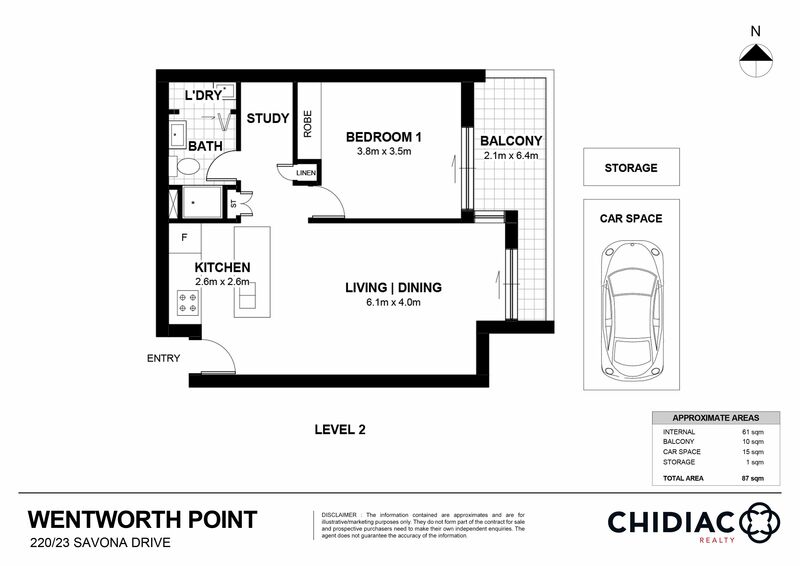 This large 1 bedroom, 1 bathroom apartment has the wonderful addition of a study alcove, making it perfect for the first home buyer. Enjoy whipping up a meal in your generous kitchen, complete with stainless steel appliances and island bench before retiring to your large living and dining area. Find comfort while appreciating the practicalities of your spacious bedroom with built-in wardrobe. Make the most of Pulse Club access, taking full advantage of their gym, indoor lap-style pool, outdoor oasis-style pool, two tennis courts, library and function room. To explore your gorgeous new area, it’s a short walk to local Bus Stops, Ferry, Marina Square Shopping Centre, Wentworth Point Primary School and Bennelong Footbridge, providing access to Rhodes Shopping Centre and Train Station. Take the first step towards creating your new lifestyle, book in time to inspect this incredible property by contacting Chedi Chidiac on 0448 301 339 or Alex Chidiac on 0439 555 999 today.